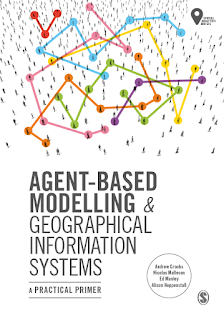 Its been a long time in the making but now "Agent-Based Modelling and Geographical Information Systems: A Practical Primer" has been published by Sage. We (Nicolas Malleson, Ed Manley, Alison Heppenstall and myself) approached this book from two standpoints. 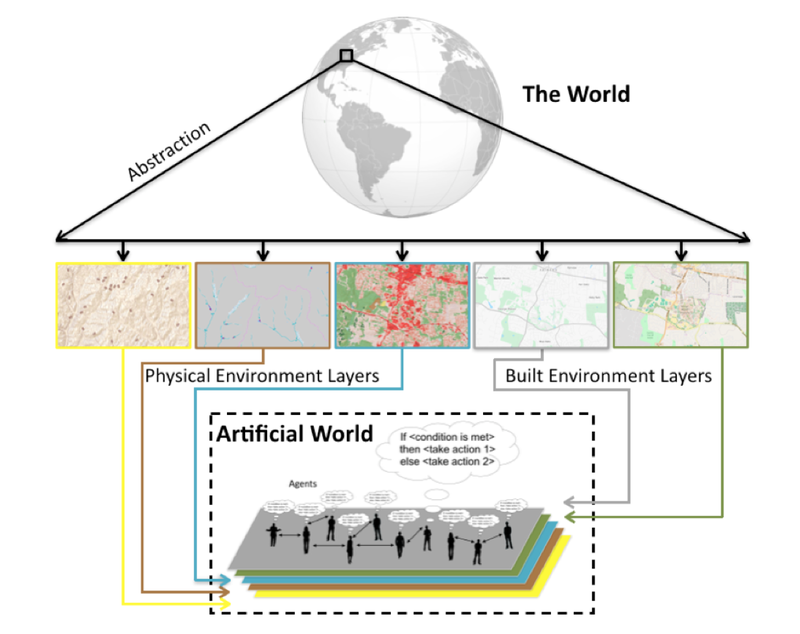 First, to provide a synthesis of the underpinning ideas, techniques and frameworks for integrating agent-based modelling and geographical information systems (GIS). Second, building on our experiences of teaching at various levels, to provide a practical set of information for the development of agent-based models for geographical systems. From these two standpoints we have developed a book that provides a practical primer in the integration of agent-based modelling and geographical information systems. In outlining the subject we cover many examples of geographical phenomena, from linking the individual movements of pedestrians to aggregate patterns of urban growth, to the integration of social networks into modelling mobility. Through this text, we hope the reader will understand how the field has developed, how agent-based models are different from other modelling approaches, and the future challenges we see lying ahead. 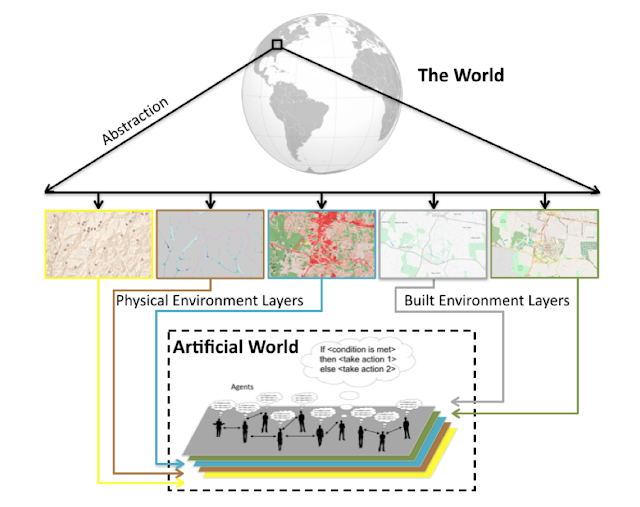 By using sample code and data (all of which can be found on the accompanying website https://www.abmgis.org/) we provide the reader with many of the basic building blocks for constructing agent-based models linked to geographical information systems. Throughout the book we use the software package NetLogo, as it provides an easy route to learn and build agent-based models (although in the appendix we provide links to other models created in other platforms). For more information visit https://www.abmgis.org/ and if you wish to buy a copy you can: Amazon or Sage Publishing. We hope you enjoy it. upon which the agent-based model is based. Crooks, A.T., Malleson, N., Manley, E. and Heppenstall, A.J. (2019), Agent-based Modelling and Geographical Information Systems: A Practical Primer, Sage, London, UK.